Suppose I wake up one morning with a crick in my neck that won’t go away. I go to my family physician and he prescribes for me pain pills to alleviate my pain. But, the next day I wake up with my crick worse than the day before so I go to my chiropractor who gives me an adjustment and assures me that my back alignment was the source of my problem. But, the next morning my crick persists so I go to a masseuse who diagnoses I have a knotted neck muscle and recommends a deep tissue massage. Yet, the next morning I still have a crick in my neck so I go to a therapist who determines that my traumatic childhood is creating stress and is causing my stiff neck and I just need several months of counseling. Each physician looked at my symptoms yet viewed them through the lens of their personal specialty, experience and training. These differing views led to a variety of diagnosis and prescriptions, any one of which could have been right or wrong. In making decisions, the above physician specialist metaphor refers to leaders who only approach decisions from within the limits of what they already know….their lifetime accumulation of knowledge, skills, experiences and expertise. For example, a group of church staff are sitting around the conference table analyzing a proposed decision. Remember, they are all examining the same decision, but through different lens. Let’s see what happens. The Senior Pastor concludes that the decision must be approached from a spiritual perspective and proposes the group enter into a season of personal and corporate prayer before making a decision. The Discipleship Minister concludes the decision must be approached from a spiritual formation perspective and recommends an examination of scripture before making a decision. The Executive Pastor concludes the decision must be approached from an organizational structure perspective and recommends an analysis of how the staff will be impacted before making a decision. 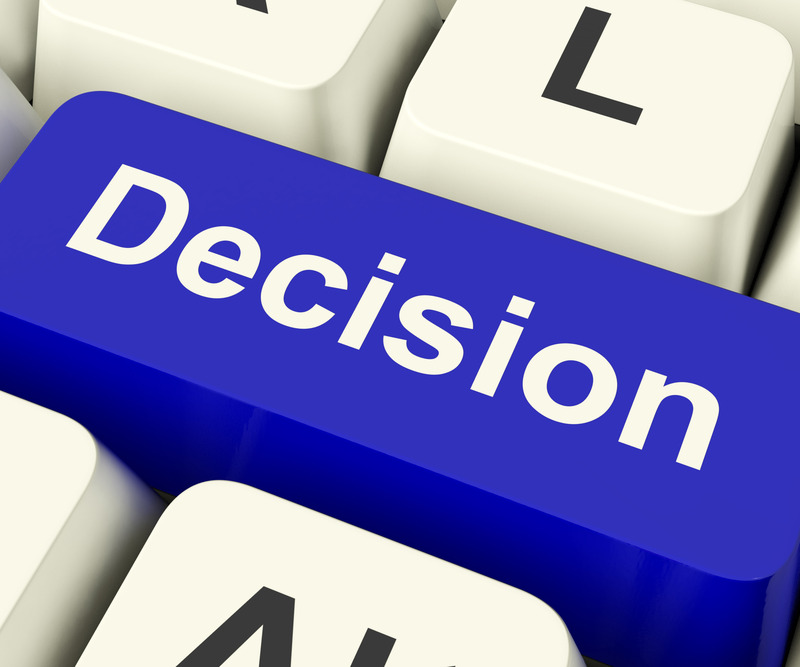 The Business Administrator concludes the decision must be approached from a financial perspective and recommends a thorough financial cost/benefit and risk/reward analysis be conducted before making a decision. The Communications Minister concludes the decision must be approached from a communications perspective and that a survey of how the congregation feels about the alternatives should be conducted before making a decision. Notice how each staff member offered an approach based upon their area of expertise. Relying only on one perspective could have serious implications on making the right decision as well as the effective communication, acceptance and implementation of the decision. Recognizing we all have limited perspectives and solutions is a key step toward improving our decision making skills. Studies show that only about 10% of our knowledge, or perspective, comes from our own experience and the remaining 90% we receive from others. So, one of the principal ways we can overcome the limits of our own perspectives, is to intentionally seek the advice and counsel of others whenever possible. Direct sources like conversations with church staff, subject matter specialists, key lay leaders, committees and consultants can make important contributions to broadening the leader’s perspective. Indirect sources like books, web sites, and television can also reduce the limitations we all have by exposing us to more alternatives. In today’s church culture it is not possible for any one individual to amass enough personal knowledge, skills and experience to make decisions independently. When we get the viewpoint of other people, either from direct conversations or indirect sources, we multiply our perspective and dramatically increase our ability to make effective decisions. Jim’s passion has always been to utilize his gifts of leadership and administration to equip men and women for ministry. With the heart of a shepherd and a keen understanding of church organizational structure, Jim has been a mentor and coach to hundreds of ministers and church members – myself included – throughout his 30+ years of ministry. I am confident God will use Jim to do the same for you through his new ministry, Sacred Structures.